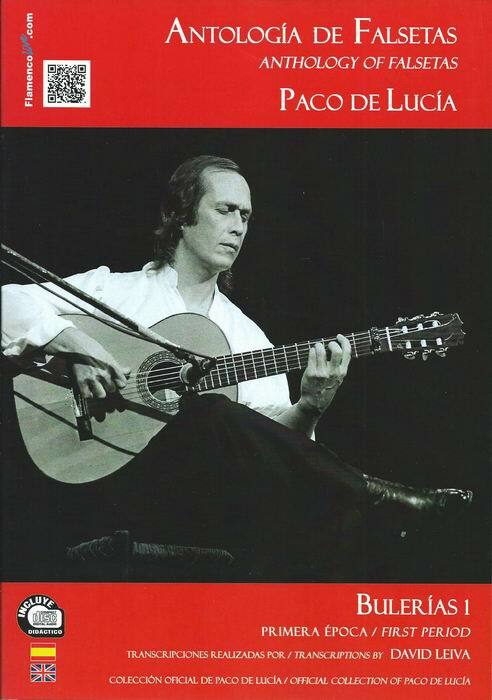 Anthology of Falsetas of Paco de Lucía is the first book of scores music collection by David Leiva where first the most important variations of the career of Paco de Lucía will be shown. 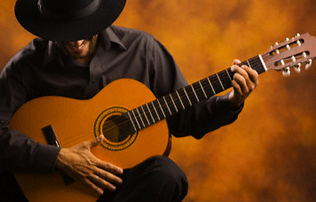 Which cover all major styles as soleá, siguiriya, alegrías, tientos, tangos, fandangos, bulerías, tarantas, etc. The transcriptions of the falsetas included in the anthology have been extracted from the concert pieces of his main solo records and from collaborations with cantaores (singers) like Camarón and Fosforito, among others. The series begins with Bulerías of the first period (1964-1977), and provides transcriptions of 73 brilliant falsetas including a CD. All the audios included in the CD are extracted from original Universal records. Each style of this collection is composed of three volumes that represent his different life’s periods. The author has classified the collection into three periods.